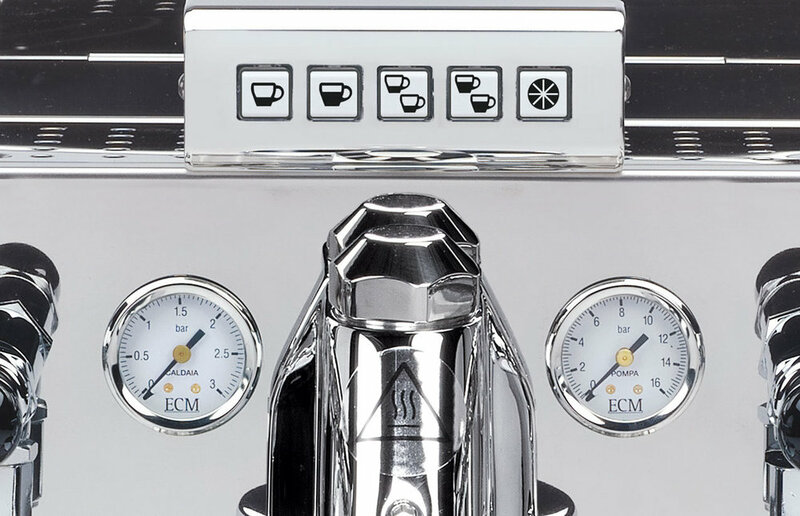 The ECM Elektronika is the only ECM model in the range that is equipped with a volumetric touch pad which automatically measures the coffee dosage rather than the manual lever system. You can choose between 4 preset dosages or select the manual dosage option. The Elektronika utilizes a big 2.1L heat exchanger boiler meaning you can do both coffee and steam at the same time. The Elektronika is also available in a 2 group model.